Visited to Hosahalli Village, Koppal(Dist), KA to setup India Sudar tuition center. We have set up a new Tuition center at Lingapura in Hospet. Ms. Fathima BB, tuition teacher, would be teaching all students of primary/middle/high schools in the village. This Tuition is for under privileged students of Govt. school who cannot afford regular Tuitions. This project also targets to provide individual attention to children who find it difficult to cope with the Classroom teaching/sessions. Attached is the project report for your reference. We(Raghavendra Prasad A R, Ramaseshan.S, Udhaya Kumar.V) have visited to Hosahalli Village, Koppal(Dist) – 583234, Karnataka (Near Hospet, 20 Km from Humpi, 350Km from Bangalore, North Karnataka) on 29-Dec-2007 to setup India Sudar tuition center. 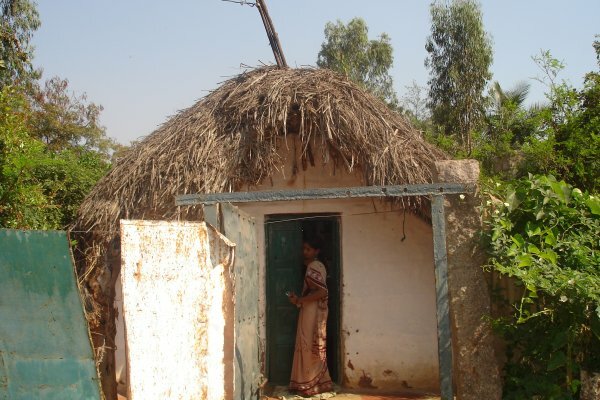 We have visited to this village through Bhuvaneswari, She was taking tuition for this village poor students in past. Currently she is not able to continue this. We have visited to Hosahalli Government School and had discussion with Head Master and some of the teachers, students. 396 students studying in this school and they are from 1st standard to 8th standard(10 teachers working). Some of the private school also available at nearby this village. Most of these students’ parents are illiterate, so they are not giving much important for the education. We have explained our India Sudar activity to Head master & teachers. They are very impressed and ready to allocate separate class room to run our tuition center within school itself. Currently we are starting our center in Fathima.BB(India Sudar center Teacher) house itself. Down the line we will move this center to Gov School. Bhuvaneswari taking ownership to invite only poor students and first generation kids for our center. India Sudar will start this center from Jan’08 to Apri’08. Yes of course this will be continued for next academic year also. Our center will run for 7 days per week. Sunday will be used only 9th and 10th students. We have to appreciate Bhuvaneswari, Who is really showing the interest to provide education for these village students. We have visited to Bhuvana house & she staying in very small house. Even she had several economical issues, still having the mentality to help village students. She is proving money is not a matter to provide service to poor students. 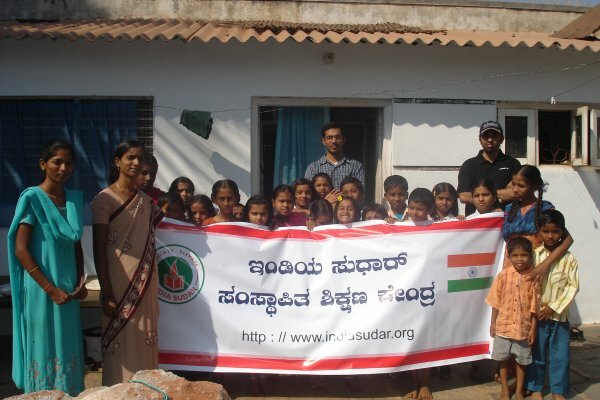 India Sudar Innovative Training to Government School Teachers in Chikkaballapur District, KA. We(Prashanth.L.A, Udhaya Kumar.V) had discuss with Ambika Krishnamurthy on 22/Dec/2007 to provide training for Government school teachers in Gauribidanur taluk, Chikkaballapur District, KA. As you know already, India Sudar decided to conduct mini-taluk level Quiz programs in Gauribidanur taluk, Chikkaballapur district, KA. We will invite 25 schools for Quiz program, same time one teacher will be invited from each school for this training. We are planning to execute Quiz and Teacher training parallel in same day. Ambika Krishnamurthy(9980806464), Director of SHIKSHA(Training Institute), Head Master will conduct this program for the teachers & She will invite one more assistant for this training from Shiksha. Initially we are planning to provide two course “Student-Teacher relationship” & “Positive Classroom teaching” in this training. We are planning to accommodate 20 to 30 teachers in this training, 1 day(Approximately 6 hrs). India Sudar will bring all the teachers and provide some of the education material, and 2 laptop for PPT presentation. We agree to pay 5,000 Rs for this one day program. This is absolutely our pilot project, Based on the results we will replicate the same program in the different place. Open Charitable Platform to Elevate India through Education. Name of the Organization: Odam Charitable Trust, Chennai, TN. in any way (including education but not only education). Our THANKS to Mr.LakshmanaRaja.K, Who made this partnership. I and our IS Member Jeyaseeralan along with Dhanasekar had visited the “Sri Arunodayam Charitable Trust” (A Home for Mentally Challenged Destitute & Spastic Children) on 25th November 2007 and discussed with Ms. Chitra (one of the founder of this home) and understood their current basic needs. We are planning to provide all the above required things (or) part of their above needs based on the money collected and issue to them on 16th December 2007 at 11am. Note: This Program is neither organized nor funded by India Sudar Educational & Charitable Trust. About Sri Arunodayam Charitable Trust: Sri Arunodayam is the brain child of Sri. Ayyappan (who was the founder of this home) along with his sister Chitra. These children are either mentally retarded or spastic and abandoned by their family. A 24 hour helpline along with the support of the Police network direct such children from different parts of the country to find refuge in the loving hands of Sri Arunodayam. Sri Arunodayam provides them food, clothing, shelter and medical facilities with the warmth of a home. These children are engaged in varied activities depending upon their abilities and imparted education, which gradually enables them to outgrow their limitations. This helps to improve the quality of life to a certain extent. Contact Address: Sri Arunodayam Charitable Trust, Plot No 35, Sivananda Nagar, (Opp Senthil Nagar Bus Stop), Kolathur, Chennai 600 099. Activity report for Royapuram Home !! Our recent projects being undertaken at Royapuram Home,Chennai has been expanding with help of great minded people from Art Of Living(A.O.L)To give you all a brief history, besides deploying a teacher at the School in the Royapuram home, we also were discussing the idea of giving the children some life skill training. Mr.Zakir from A.O.L cheanni visited the home along with me & Udhay. Last week they visited the home & delivered the first 5 day training to the 45 children(Age12-17). This is a great piece of dedicated work done by A.O.L to those children. We will continue to work together in future at many places as we can. Intially When I discussed with one of our well wishers, Mr.Venkatesan(Hyderabad), he directed is to A.O.L chennai. With help of Mr.Ganeshji, Mr.Vikram I was able to firm up things. Ofcourse Mr.Zakir readily agreed to visit & now HE HAS DELIVERED WHAT THEY PROMISED. India sudar thanks all of those involved heartily & invite them ao tall our future missions to work together in complimentry ways !! INDIA SUDAR QUIZ Program at Indira Gandhi International Academy School, Bangalre. We(Balamani Kandan.K, Prashanth L A, Ramaseshan.S & Udhaya Kumar,V) conducted INDIA SUDAR QUIZKIK’07 (Quiz to Know & Improve Knowledge) program in Indira Gandhi International Academy School, #10/2, Yelahanka Jakkur Road, Jakkur, Bangalore – 560 064, KA on 01-Dec-2007. #1 we started with Preliminary test. 33 students attended from 8th, 9th & 10th classes. This question paper contains 40 questions, duration of 50 minutes. We provided question papers, answer sheets & pen to every student from IS. #2 after completion of this test, we started the paper correction and formed 4 teams (3 member per team) based on the mark. As prashant recommendation we named our team called Cauvery, Ganga, Narmada & Godavari. #3 Our BalaMani(Quiz Master) planned for 5 round of quiz program. It’s really wonderful experience for students and IS members. Even audience also participated in this program and took prize. #4 winning team as follows. We provided the prize for all teams based on the score. Our Sincere THANKS to our member Mr. Balamani Kandan.K, Who initiated this project, Prepared completed questions, Conducted the Quiz. Our Sincere THANKS to our members Prashanth L A & Ramaseshan.S, Who conducted the exam, paper correction & supported quiz program. Our Sincere THANKS to our member Anshu Gupta, Who sponsored (1,850 Rs) the prize for our Quiz program. Our Sincere THANKS to Indira Gandhi International Academy School Head master Ambika, Who provided the facility, organize the students.